I have an apartment in Waldorf Tower for rent. The built-up is 1130sf with 2 bedrooms and 1 maid room. 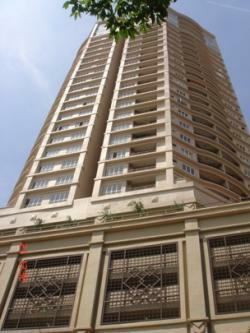 It s a fully furnished unit with brand new furniture & kitchen appliances. Located on high floor with good view of KL skyline and overlooking the new palace. Waldorf Tower is the newest condo in Sri Hartamas and next to Hartamas Shopping Center and Plaza Damas. They have excellent facilities that include Balinese concept swimming pool, jacuzzi, spa pool and sauna, squash court, gym, snooker room, aerobics and dancing room, nursery, children playground, BBQ pit and business centre.